Asia’s automotive industry is undergoing rapid technological changes, thanks to the world’s ever-growing consumer demand for new energy vehicles, faster workshop speeds, increased customisation options and improved in-car technologies. Many of the region’s aftermarket enterprises are subsequently looking for a more technological edge, more environmentally friendly products and processes, and superior repair and management standards. This opportunity is already being brought to life at Automechanika Shanghai, Asia’s largest trade fair dedicated to the global automotive service industry. This year, the fair will welcome around 6,000 exhibitors and 130,000 visitors, and is also expected to house some of the latest advancements from both the global and domestic automotive industries. Take for example Astrace, a Chinese glass window film and paint developer which has various brands within the aftermarket sector. The company is exhibiting for the first time at Automechanika Shanghai 2017, with the goal of expanding into some of Asia’s most promising regions. “Asia’s aftermarket industry, and its film sector in particular, is experiencing more and more developments in the likes of heat blocking, UV protection, reflectivity and safety. What’s more, the industry is looking to take these innovations a step further by adding even more value for consumers. This includes the likes of films which can harvest energy to power cars, and intelligent glass displays which can display information to passengers, for instance.” Mr Yang added. Similarly, fellow exhibiting business KYB, a shock absorber manufacturer, says that the Asian market, and China in particular, is constantly demanding a higher level of technical products and expertise. “Thanks to the growing consumer need for smarter vehicles and electric cars, China is looking to continually grow in terms of design, research, development and component manufacturing,” says Mr Lijun Fu, Deputy General Manager of Marketing at KYB Trading (Shanghai). Another company looking to take advantage of this trend is adhesives business Henkel, who says that Asia’s growing numbers in terms of car sales and ownership is also an attractive prospect for the sector. “Compared to the overseas market, the growth momentum in the Asian auto industry appears to be more obvious, with car ownership in China alone surpassing 200 million in March 2017,” says Mr Shaohua Fang, APAC Vehicle Repair & Maintenance Business Director for Henkel. “Thanks to this, as well as the growing expectation for higher quality and improved service, the aftermarket sector in the region expects a 30% year-on-year growth in the coming years, becoming a trillion dollar industry by end of 2018,” Mr Fang added. He expressed how Automechanika Shanghai is an “ideal platform” for businesses to keep abreast of these trends and to gain stronger positions in the region. The shift towards new energy and improved service in Asia’s auto industry is also part of a bigger market trend in environmental awareness. With new energy vehicles in China expected to represent at least one fifth of car sales by 2025, a growing number of industry sectors are looking to improve their carbon footprint – including many key players in the aftermarket business. Eneos, a Japanese oil and lubricant manufacturer, says Asia’s role in providing a more sustainable industry is immeasurable. “In terms of automotive lubricants, things like pollution control and low carbon emissions are some of the key development trends in what is such a prosperous region,” says Mr Yukiyoshi Takahashi, Director & President at the JX Nippon Oil & Energy brand by Eneos. The company says that consequently, regulations on exhaust emissions are expected to become even stricter in the region, along with increased requirements on environmental protection. Many exhibitors at the fair are already adapting to this shift in focus for the industry. “ENEOS has been committed to introducing an environmentally friendly and low viscosity ‘0W-20’ motor oil, which can increase performance by 2% – 3%. For a car driving 50,000 km per year, this can save around RMB 1,000 in fuel costs,” says Mr Takahashi. Keeping in line with exhibitors looking to showcase their sustainability credentials is coating supplier Oerlikon Balzers. The company says its coating technologies on display during the course of Automechanika Shanghai can help improve energy consumption levels and the overall performance of vehicles, as well as reduce wear and friction for parts. Visitors to the fair can witness a range of Oerlikon’s new coating solutions for ABS and ESP systems, which assist in reducing environmental impact. Automechanika Shanghai will take place from 29 November – 2 December at the National Exhibition and Convention Center in Shanghai. With over 130,000 visitors and 6,000 exhibitors, this year will see the fair expanded to 330,000sqm. A new REIFEN zone will showcase the very latest tyre, wheel and rim products, while upgrades to the E-mobility & Infrastructure zone will see an even stronger focus on electronics, systems, and future solutions. A number of key industry players, including Autoyong, ADAYO, Astrace, CARZONE, Eneos, Fangxing Rubber, Fleetguard, Fuchs, Henkel, Huitian, Isuzu, Linglong, NEXTEV, SINOTRUK, TEN-D Energies and Zhengao Auto will participate at the fair for the first time. Meanwhile, exhibitors returning to the show include the likes of ACDelco, Asia-Pacific Electrical, BAIC, BASF, Bullsone, China Changan, Continental Automotive, ContiTech, CRRC, Cummins, Dayco, DENSO, Interstate Batteries, Launch, MA-FRA, Mahle, MANN+HUMMEL, Mobiletron, MOTUL, SATA, Schaeffler, SINOTRUK, SK, Snap-on, SONAX, Valeo, Valvoline, VIE and ZF. 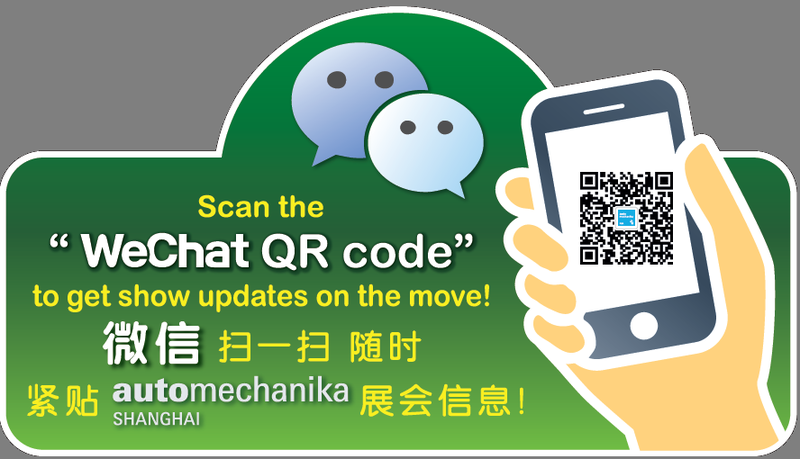 For more information about the show, please visit www.automechanika-shanghai.com or contact Messe Frankfurt (HK) Ltd, +852 2802 7728 / auto@hongkong.messefrankfurt.com . China National Machinery Industry International Co Ltd. (Sinomachint) is a wholly-owned subsidiary of China National Machinery Industry Corporation (SINOMACH), a large state-owned group. Sinomachint specializes in areas such as international exhibitions, trade and project contracting. International exhibition is a core business for Sinomachint, which are recognized because of many years of exhibition organizing experience and a professional organization team. Sinomachint held exhibitions that combine internationality and locality in over 30 large and medium-sized Chinese cities. The total exhibition area of exhibitions that Sinomachint independently organizes or jointly do with partners each year exceeds 3 million square meters. For more information, please visit website at www.sinomachint.com.